If you’ve been to a Paul McCartney concert during the last 20 years or so, you pretty much know what to expect. Since 1989, McCartney shows have been at least 50 (usually more like 60-70) percent Beatles classics mixed with key hits from the ’70s and beyond, plus a few new tracks from whatever his latest project happens to be. He knows exactly how to please the largest audience possible when playing arenas and stadiums, therefore his formula changes very little from tour to tour. This was definitely not the case when McCartney played Seattle’s Safeco Field (the 14-year-old venue’s first public rock concert) on the July 19, 2013 stop of his Out There tour. He had something special cooked up for Seattle. After opening the encore portion of the show with a rollicking “Day Tripper,” McCartney introduced Dave Grohl, Krist Novoselic, and Pat Smear – the surviving members of Nirvana – to the stunned crowd. As they had done twice in the middle of December 2012 (first at the Hurricane Sandy relief concert and again on Saturday Night Live), the quartet stormed through “Cut Me Some Slack,” the heavy rocker written and recorded for Grohl’s documentary Sound City. McCartney soloed wildly on a cigar box guitar (a gift from Johnny Depp) while Grohl punished the drum kit. As the song wound down and the 45,000+ audience thundered its approval, McCartney’s regular touring band returned to the stage. The surprises continued as Macca invited the guest trio to “stay and jam,” launching into the familiar galloping intro of “Get Back.” Grohl was out front on guitar this time, with Abe Laboriel Jr. on drums again. Following a short break, McCartney returned with his acoustic guitar for “Yesterday,” with seemingly the entire stadium singing along word for word. Then the supergroup returned (with Grohl behind the kit once again) and crashed into Little Richard’s “Long Tall Sally,” with McCartney once again energized, delivering his most frenzied vocal of the night. “Helter Skelter” followed, rocking more ferociously than usual (Grohl was back out on guitar, sharing Macca’s mic for backing vocals on the chorus). McCartney has cycled through so much of his Beatles catalog, he’s running out of songs that haven’t been done live previously. But for this tour he is rolling out the relative obscurities “Your Mother Should Know” and “All Together Now” (“One of our more intellectual ones,” he joked as the sing-along wrapped up). “Eight Days a Week” wasn’t necessarily his strongest set opener, but again it was a tune that even Macca veterans hadn’t heard in concert. For the first time since 1976, he’s doing “Listen to What the Man Said” and it sounded spirited and was well-placed early in the set. “Another Day,” his debut solo single from 1971, has returned to his set for the first time since 1993. Some of his between-songs patter comes off a little stale if you’ve heard it before (Jimi Hendrix played “Sgt. Pepper” at a London club only three days after the album was released, “Blackbird” was inspired by the Civil Rights Movement, George Harrison was a good ukulele player, etc). But again, McCartney deftly gives the illusion of the first time for those who haven’t caught his show before. Though he’s been performing the Tug of War track “Here Today” as a tribute to John Lennon since his 2002 tour, it never fails to captivate audiences. The “Foxy Lady” jam that followed “Let Me Roll It” is a staple of Macca’s set, but in Hendrix’s birth city it took on new resonance (and McCartney’s lead guitar lines did seem more impassioned than usual). A few of the venerable Beatles classics have worn out their welcome (I don’t personally need to hear “The Long and Winding Road” or “Eleanor Rigby” in concert again). Some of the quieter numbers get a bit swallowed up in the vast stadium setting. But the fireworks display for “Live and Let Die” is never less than spectacular and the “Hey Jude” sing-along is always an emotional highpoint (I love the funky groove the band gets into during the “na na na” refrain). And for a song he’s only relatively recently started doing, the oft-reviled “Ob-La-Di, Ob-La-Da” absolutely brought down the house. But after the final fireworks embers died and the last of the confetti was carried away by a gentle nighttime breeze, some 45,000 Seattleites are likely to remember July 19, 2013 as the night a former Beatle jammed with the surviving members of most beloved band associated with their city. 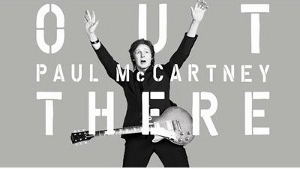 We couldn’t be more unhappy or disappointed with Ticketmaster as a result of our attendance at the Paul McCartney “Out There” concert at Safeco Field in Seattle on July 19. We bought 4 tickets ($96.50) in Section 111 Row 38 and it’s as if no one knew we were there. Paul McCartney certainly didn’t and the stage set up ignored our existence. We had no view of the stage or the performers and we had no view of the obviously wonderful video screens that flanked the stage. I and my guests felt we had been robbed of any enjoyment of perhaps the greatest outdoor concert “event” ever to come to Seattle. We have been longtime customers of Ticketmaster and have always ticket buyer was always their paramount consideration. There should not have been any seat sales allowed in section 111. We believe a refund of the ticket price is in order or at least a credit toward a future event. These seats were sold with no advice of view obstructions or, the lack of any view at all. To the second commenter – to be fair to the original post, I have read reports similar to this and spoken with people who were at the show. This was the FIRST concert event at Safeco field – and there were, in fact, certain sections sold as “Full View” that turned out to be significantly obstructed (in some cases I’ve heard, nearly fully blocked). The seating charts didn’t cover it for everyone and without previous concerts at this venue they were perhaps at a disadvantage when categorizing which sections were full, obstructed, or no view. I suggest you demount from that rather high horse and realize your finger-pointing (“you were ill prepared”) is not necessarily justified here. To the second commentator as well…I bought 4 tickets for a total of $457 in section 119 row 22 at the MN Twins ballbark using the seating map (seats were behind visitors dugout), Target Field, and could not see the stage/McCartney and his band due to a speaker tower on the 3rd base line. The tickets and billing receipt say nothing about “obstructive/limited view”. This was my 2 teenage sons first concert, to see a legend on their first concert experience, and they could only watch him on the big screens. Could of done that at home for free.